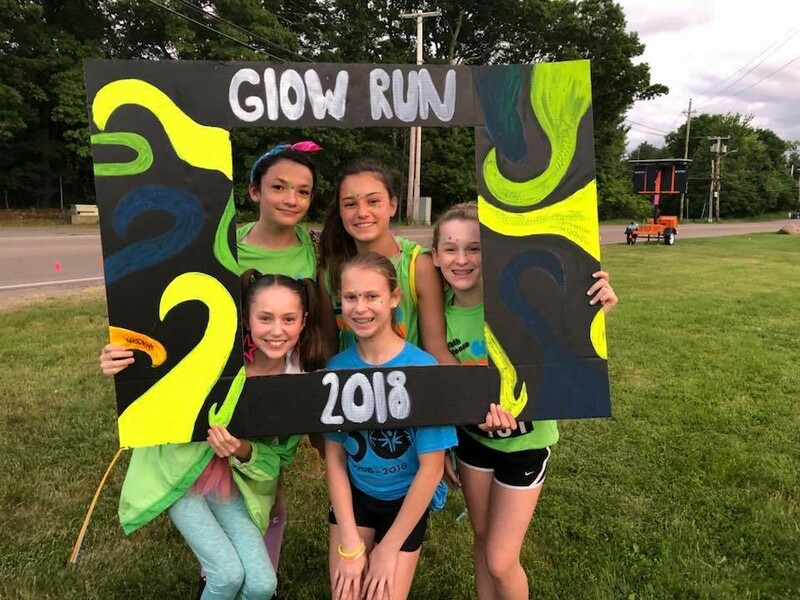 9:00 PM - 10:00 PM : RUN through glow stations along the course that utilizes non toxic bubbles, water, fog, and color powder! What is the Law Enforcement Torch Run? The Law Enforcement Torch Run (LETR) program is a partnership between local police and Special Olympics that focuses on raising much needed funds and awareness. 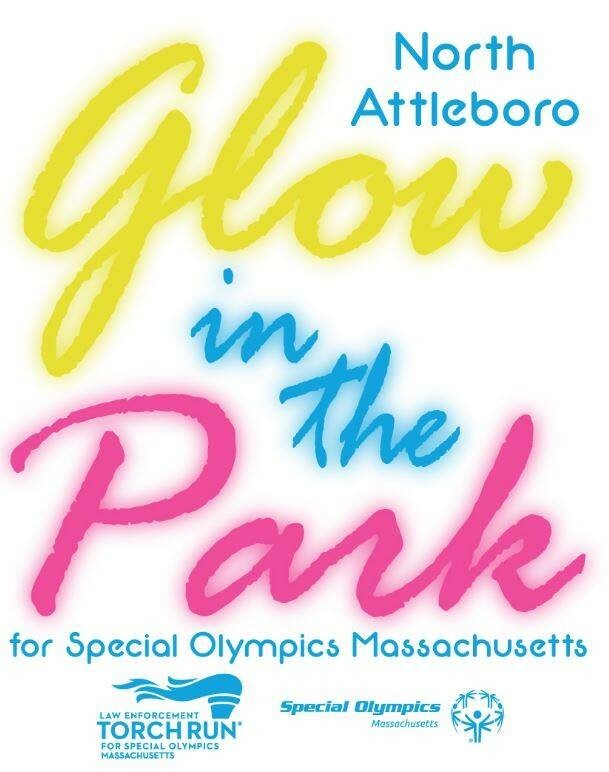 This is the second year that members of the Torch Run community are organizing the Glow in the Park! Register right on this page to participate in the run. After that, you can do all fundraising and donation collections right through your Donor Drive page and even share it on social media and through email to collect more donations! Pre-registered runners pay a $30 registration fee, while day-of registration is $35. Students and Special Olympics Athletes get a discounted registration fee at $25 and for those who want the shorter 1K course option, the registration fee is $20! 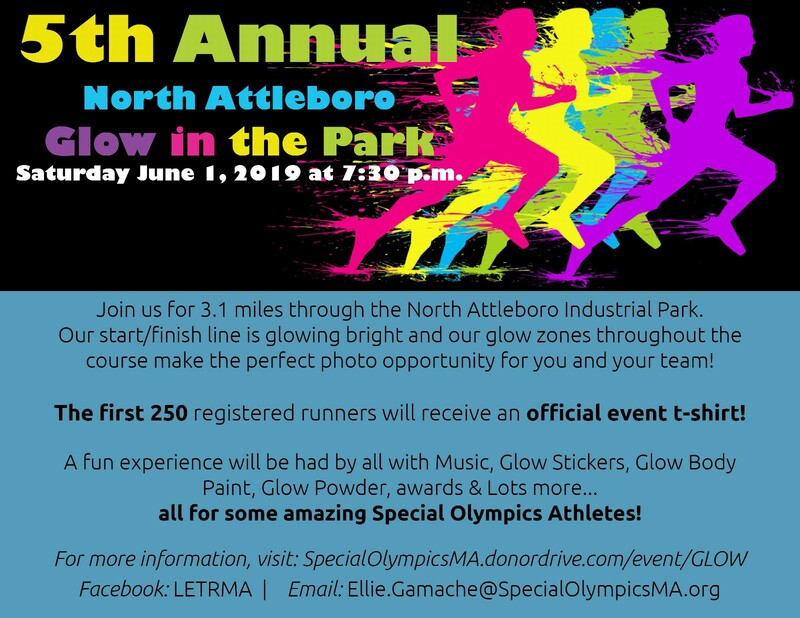 The LETR program is Special Olympics Massachusetts' largest year-round fundraising partnership and you can make it that much bigger! 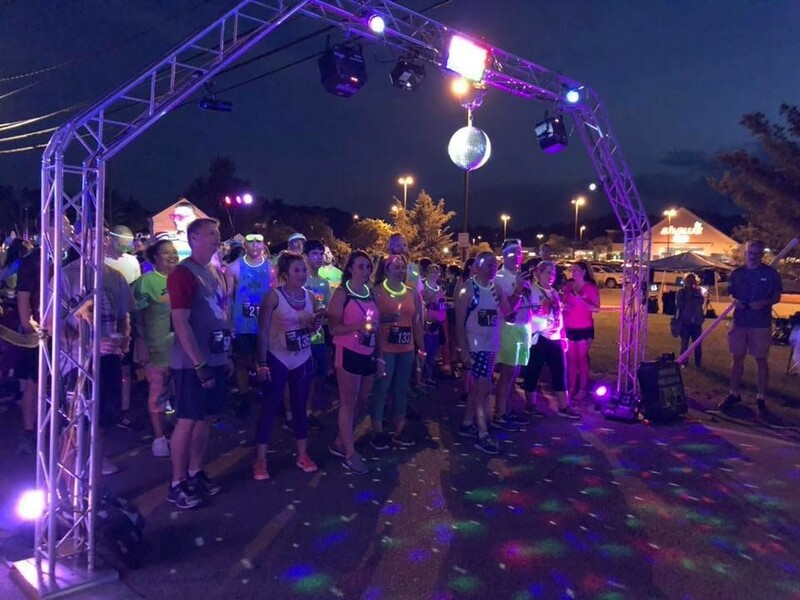 There will be awards based on fundraising so make sure you get the most to win some aweomse post-run awards and recognition! ARE YOU READY TO GLOW? Check out these pictures from last year! The Fresh Catch 5, Inc.